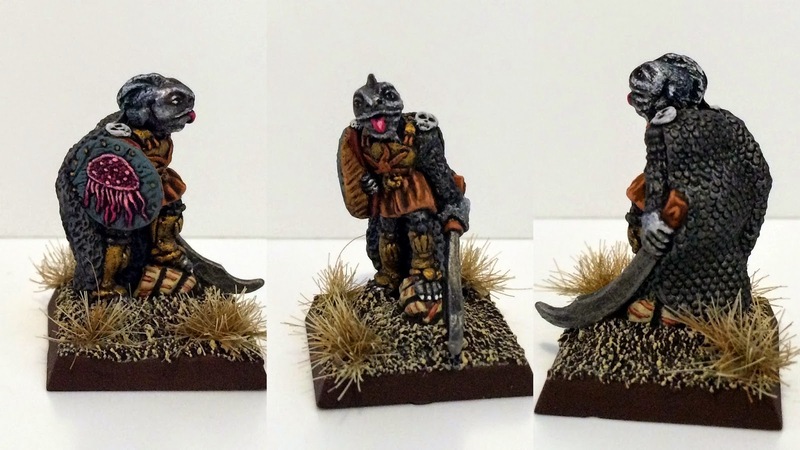 Hello, sorry about lack of posts life is so busy at the moment and our hobby suffers but I have managed a little output here we have another C38 Beastman 'Fishman', C27 Beastman Half-man and the highly sought after Realm of Chaos Chaos Beastman with two heads, again all miniatures from the 1980's. C38 Fishman, this miniature is covered in great detail, shell motifs on his leg plates, crab buckles on his feet, starfish on breastplate, fish scale cloak and a cool jellyfish on his shield, I wisj citadel had gone onto make a whole race of these Fishmen. This is the first of three variants I have of this miniature, the others are Fishman with Slug man's head and Seahorse man, all posed the same and standing on the shell. 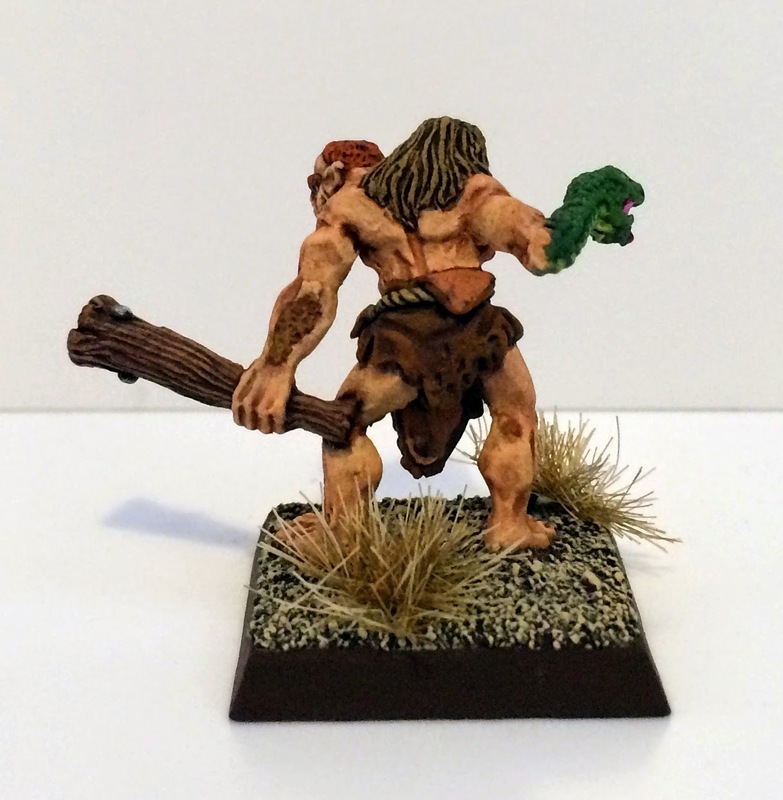 For the newbies who do not recognise him he is one of the early preslotta beastmen, see more on the pre-slotta beastman miniatures over at the Collecting Citadel miniatures wiki. C27 Half-man, a unique miniature that I have never seen painted up on the internet before so this may be a first, this is essentially two miniatures in one as you can see on the back he has another head with one of his arms and both legs facing backwards. It was a joy to paint. And finally we have the two headed realm of Chaos Beastman, I have seen this miniature exchange hands for stupid money, nice and highly sought after but if you bide your time you can pick him up cheap, 1988 release and I think sculpted by Jes Goodwin but correct me if I am wrong. This guy really should have been a chaos thug as he really doesn't sit right with all the other RoC era beastmen. 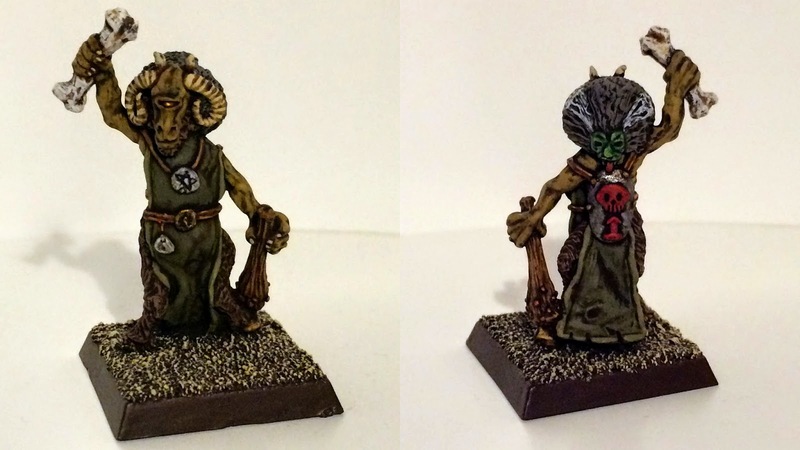 **Update** It was recently brought to my attention that an infamous eBay BIN seller has been using my beastmen photos (and others aka Orlygg's) as painted examples of the miniatures he is selling, well I don't know if I should feel violated or honoured but in return I shall borrow the write from his auction to tell you his research on the miniature, it's a bit wordy and his 'theory' but here it is in full. 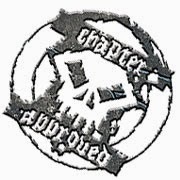 "From 1988 and the Realm of Chaos, this is, bar none, the rarest of all the Chaos Beastmen of the era. Being something of an oddity, this Beastman is often thought of as better placed among the Chaos Thugs, for it is so unlike the other Beastmen. It is not bovid, that is to say, like a goat as most Beastmen are, nor is it bovine, like the minotaurs. If anything this horrible abomination is more corrupt man than Beastman, though it is certainly bestial and twisted by the powers of Chaos, with its distinct and Ettin like two heads which are noticeably different from one other; they have different faces and hairstyles and head shapes. Are they in fact two being fused together? It seems they may be, as there is a prominent scar running down the chest of this mutant, though this may just be coincidental, or misleading chest hair. The two heads have many similarities: They have pointed ears, sharp fangs and the upturned snout of a bat. They both look somewhat vampiric even or ghoulish, they certainly look animalistic and blood mad and the rough loin cloth held up by rope doesn't make them look any more civilised. Ironically, this most unusual, man like of Beastmen ends up looking even more savage than the goat headed mutants that are normally associated with the name. As if the two heads weren't enough, the ruinous powers have seen fit to gift this creature with a snake instead of an arm also, which is sure to be very useful in the Chaos Wastes, just not for picking things up." I have loads of projects on the go, several C38 Beastmen near completion and mounted Kaleb Daark coming soon so stay tuned. 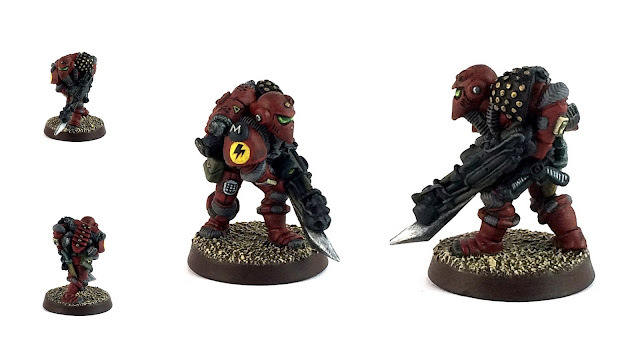 2-heads is one of my all-time favourite minis. Love your version of him! Sweet Jason. More C38/C27 (don't think I ever seen Fishman painted). 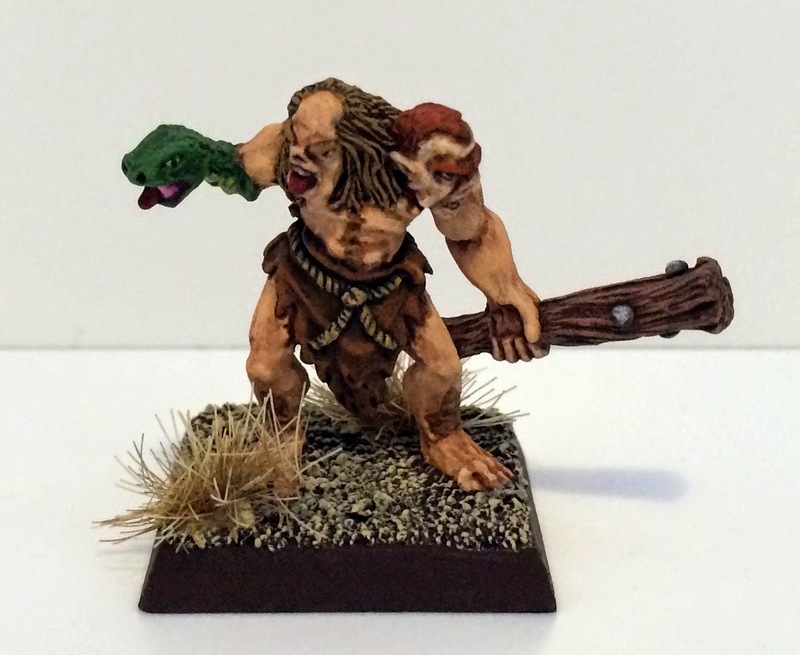 Great new additions to your beastmen! 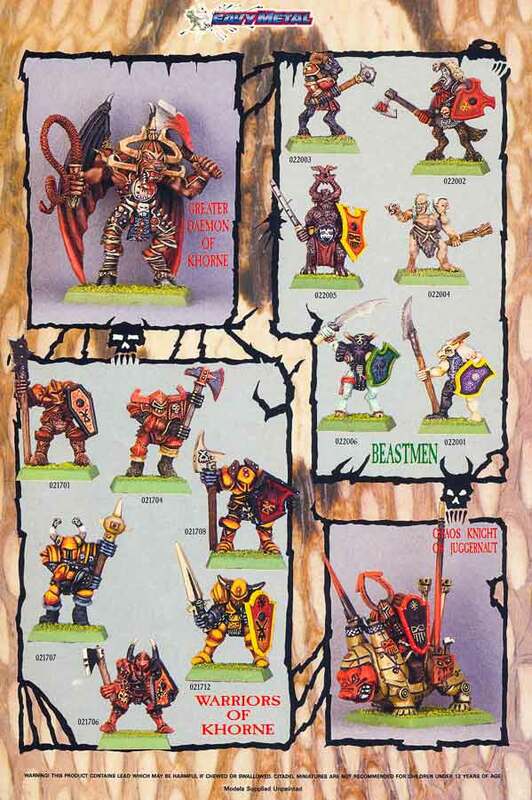 Great looking beastmen! 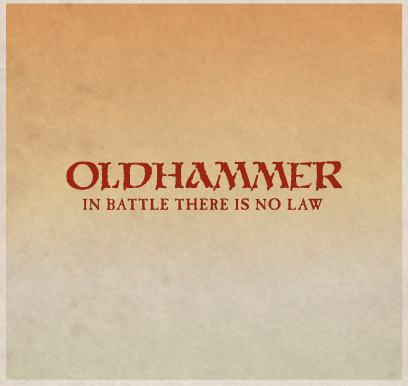 They're the kind of old school goodness in the early WFB novels.